Great Fun etc: Mrs Readalot Hearts "The Help"
When Mrs Readalot packed her bags for the UK, she slipped in a copy of "The Help" to read on those long nights when her man was out at the pub meeting up with his mates. If she thought The Help would last her a week or so, she was much mistaken. It was gobbled up within days. Carried around in her handbag. A few paragraphs snatched between dinner and bathtime. This book captured my imagination and my heart. Generally the book is funny and offbeat. It catches you off guard and shocks you because of the understated way it handles an uncomfortable subject. The story is told with the voice of three main characters: Two black maids (Aibiline and Minny) and the awkward skinny white girl, Miss Skeeter. Miss Skeeter is trying to figure out what to do with her life now she has finished college and there's no line of men beating a path to her door asking for her hand. An awkward time to be an awkward single girl. At first I was unsure of whether Miss Skeeter was likable or not. She kept company with some mighty questionable friends. 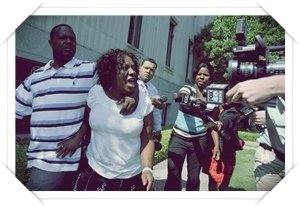 But Miss Skeeter discovers she has not only a heart, but a backbone and a voice. Meanwhile, the other two characters find that they also have a voice. And a story to tell. The story woven around these three women both rends your heart and makes you laugh. Towards the end you can not put it down, you simply must know how it turns out. This was Kathryn Stockett's first novel. 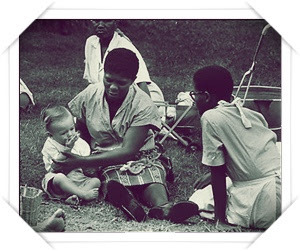 She received sixty rejection letters before someone agreed to publish "The Help". One of the rejecting publishers wrote, "This book failed to hold my attention". Really??? It kind of held mine pretty well. I'll bet those publishers who turned Ms Stockett down are now kicking themselves hard. Because not only is this an enjoyable, memorable bestselling book but now it is also a hit Hollywood movie. Duh. This book certainly did not fail to hold my attention. It held it perfectly for two days straight and my family were all very happy when I had finished it and returned to the Real World. I give "The Help" a healthy four and a half stars out of five, and look forward to seeing it on the Big Screen. Anyone wanna come with? So there you have it. Put "The Help" on your Christmas gift list. Its the kind of book your mother-in-law would love (Mrs Readalot's MIL did). In the meantime, if you haven't read it, race out and grab a copy. This is one you'll want to own. 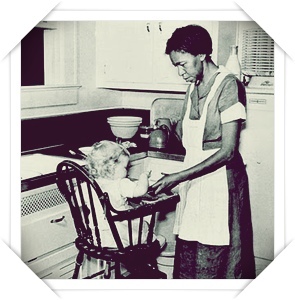 A woman named Ablene Cooper, maid to the author's brother for many years, sued Kathryn Stockett for modeling the character of Aibilene Cook on her. She says the characterisation is humiliating. Her lawyer says the likeness is uncanny. 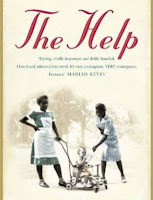 When "The Help" was first published, Kathryn Stockett gave a copy of the book to Ms Cooper (who she said she only met a few times when she was caring for her brother's children) with a note explaining that although the names are similar, the character was not based on her in any way. The judge ruled in Ms Stockett's favour. Ms Stockett's brother supports Ms Cooper. Book Club this month is being hosted by Jamie over at Cactus Chatter. You as soon as you have read the book, write your post and then swing by Jamie's blog to link up. If you're new to Mrs Readalot's Bookclub you can find out all the details (and sign up to become a linky host) by clicking here. 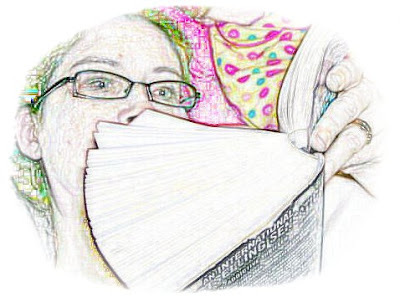 December's bookclub will be hosted by Renee at Memoirs of a Mother. Renee is giving December's Book Club a "Christmas Gift List" theme. 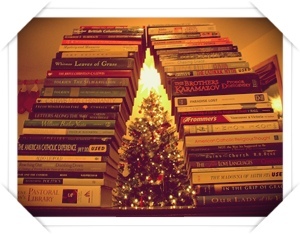 In other words, write a post with your list of recommended books for Christmas. You could suggest your favourite children's books. Or a "Gifts for Him/Gifts for Her" style. But we will all be looking forward to your recommendations as we head full tilt into the silly season. Are we gonna be able to push on when we write our best sellers simoney????? Been meaning to read this before I see the movie . Might actually put it on my Christmas list this year. This is a great book, very readable and enjoyable. :) I read some interesting reviews online after I had finished it - including one that said many people are wary of the "white person saves black person" genre. Which is essentially what this novel is about - Miss Skeeter has brilliant idea to write book, uses black maids to do so, heads off to wonderful career in New York while leaving the maids to deal with the fallout (ref. what happens to Abileen in the end - I won't spoil it for anyone but it's jolly unfair). I thought this was actually a valid point. HOWEVER, I thoroughly enjoyed this book as well and would love to see the movie! Wow - are you serious? Can't believe it was rejected that many times! I loved it and found it easy to read and enthralling in fact!! I did feel disappointed when I saw the movie after reading the book. The book is soooo good and the movie was slightly different and no where near as detailed... but still great, and as they say, the book is always better! Am 150 pages in and loving it! Going to get myself a copy for summer reading. Sounds wonderful. I loved, loved, LOVED this book. And the movie is just as good (which rarely happens.) You will laugh at all the same parts, cry at all the same parts, and you'll want fried chicken at all the same parts. Enjoy!! I agree with Paisley Jade, the movie was a bit of a let down after reading the book. Which is pretty much always the case isn't it. Such an easy, lovely read about such an awful time. Some amazing quotes to be remembered. One of my most fav reads this summer. I got the ebook from the Auckland Library. I love ebooks - wasn't sure if I would, but I do. And even more LOVE that you get to 'borrow' them for free from the library.